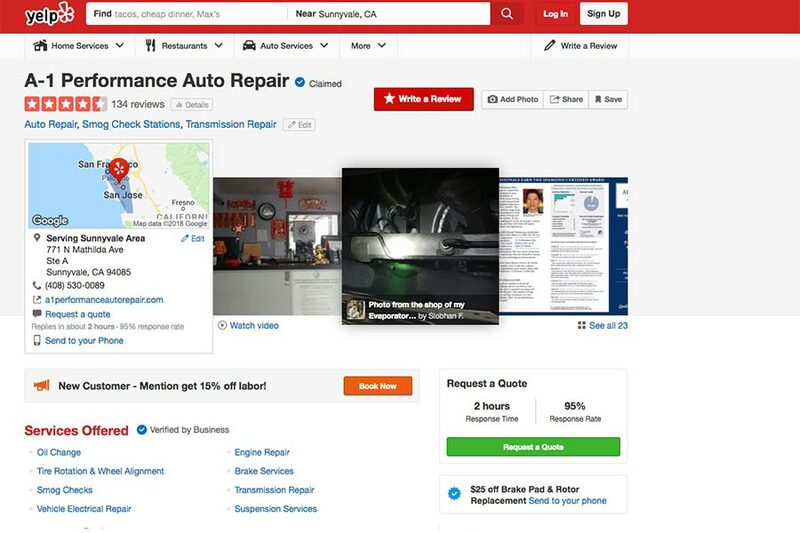 The auto repair near you is in Sunnyvale, CA. 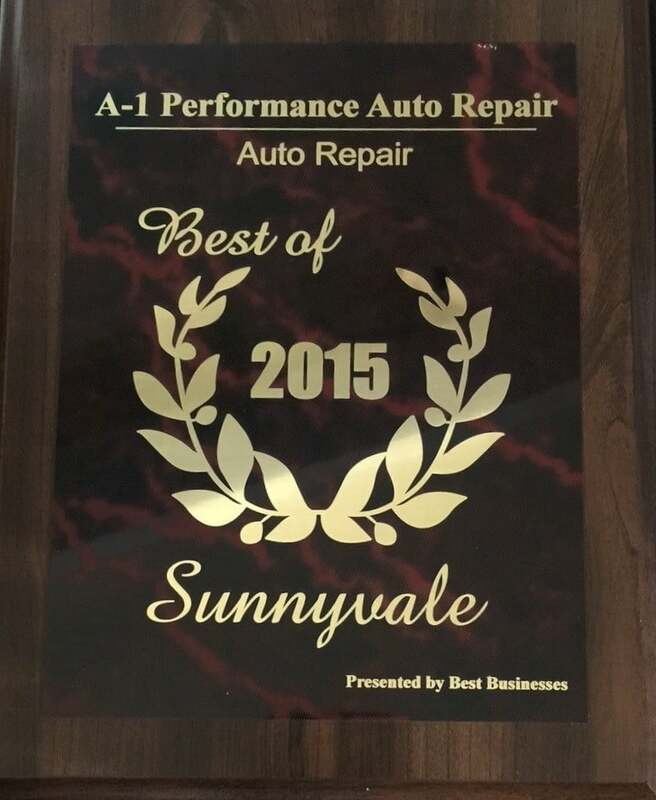 A1 Performance Auto Repair is a well-respected auto repair that people in Sunnyvale depend on to get their cars trucks fixed right the first time it is brought in and fixed at a fair price. There are so many great reviews of A1 Performance Auto Repair. Whenever you’re thinking of using a new auto mechanic, it is important that you read reviews first. That’s how you get an idea of how trustworthy and skilled the mechanics are at that shop. “…I dropped off my car around 9:30 and around noon I got a call with not the greatest news. They asked me if I was sure Pep Boys said it was the condenser, because they had determined it wasn’t the condenser at all but instead the Evaporator Core that had the leak (they texted me pictures and everything! — amazing customer service!). They quoted me a new price ($850) to get that replaced instead which stung because it was a lot more than I was planning on spending, but it was such a relief that they were honest enough to Catch Pep Boys misdiagnosis and let me know right away with a photograph and everything, when they could have just as easily replaced the condenser and ignored the actual problem. If that doesn’t make these guys a trustworthy auto shop I don’t know what does. I will definitely be back in the future for anything else my car needs. It’s amazing how far good customer service and honesty will get you.” – Siobhan F.
For a talented and honest mechanic at an auto repair near you, contact A1 Performance Auto Repair.